Get Started Now! Already Have An Account? Click Here. Select any design you want from Doodlekit's collection of templates. 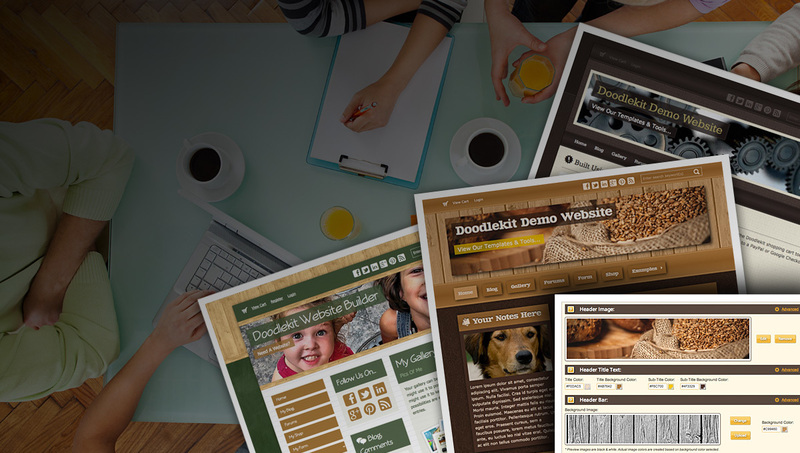 Create a free website instantly by quickly picking any design you want. Design your own website. Use our advanced editing tools to create the perfect templates. Use our template wizard to quickly create designs from scratch. Export and import custom designed templates. Share them with other Doodlekit users. Start your own collection. Become a web designer. Header banner images can have overlay plates added to them. They come with a variety of design options like modern, grunge, or nature themes. Use our border tools to create websites with fancy borders and graphics. Creating edges with flowers, rope, paper, notebook spirals, wood, etc. is easy. Create a free website using the hundreds of background images from our background library. Each image can be custom colorized. Use your own photos to create a banner for your website. Upload a logo. Turn them into a slideshow when you add more than one image. Every major web design feature can be adjusted. Everything from rounding corners, changing colors, fading colors, setting transparencies, etc. Choose a title text font from our huge collection of text styles. Pick another one for regular text. Add icons to website elements. Adjust colors as needed. Assign registered users different levels of rights and privileges to your website. Secure pages to only be viewable by specific users. Create free website galleries to hold albums and images. Add photos to albums. Add albums to galleries. Turn your albums into slideshows. Create links to uploaded files for visitors to access. Add needed files to your website for custom design and website functionality. Create a website forum for your users. Provide them a place where they can discuss issues related to your website. Monitor your users activities. One reason to create a free website is so you can blog on the internet. Use it to communicate and inform people all over the web. Draw traffic to your website. Sell products and services online using our shopping cart tools. Create multiple store. Create complex items with multiple options for size, color, etc. Use our form creation tools to create custom forms. Gather specific information from users. Have the data emailed to you or download it yourself. Using your domain you can create as many forwarding email addresses as you want. You can even create addresses that forward to multiple emails. Track your website traffic. View charts and diagrams showing how many people visit your website, how long they stay, and where they are coming from. Use our tools to create a website for free. Create a web design and template you like. Add content, images, and photos to blog posts and pages. Upgrading your website makes it public and visible on the internet. After using our free plan to create a website, you can upgrade it if you like it. Getting your website to show up on Google, Yahoo!, Bing and other search engines takes work. Our tools help you optimize your website for better listings. 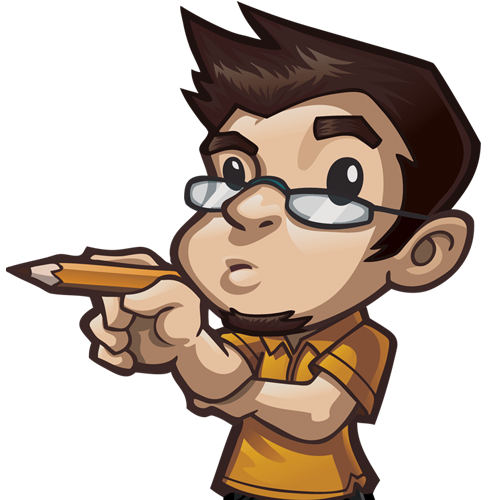 Create A Free Website With Doodlekit. You'll Be Amazed What You Can Do. Join millions of others. Create a free website for yourself. Play around with the web design tools. Create some templates. Make some photo galleries. Post some blog posts. Have some fun!